Results: 1 to 10 of a total of 63 results. I wash my hands too much, Luvox HELPS, but if I'm really nervous, OCD increases, and overwhelms my chemical shield with ease. Looking for love in Vegas! I am a very open minded person who is looking to share their life with someone special! 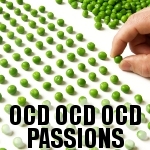 Looking for a aerious relationship so we can tackle OCD and anxiety together! Does vegasnaked belong in this group? Does moretolove620 belong in this group? Does sluicesleuth belong in this group? Does standupscar belong in this group? Does pt23 belong in this group? Does iolite belong in this group?